OK listen up. A cause extremely close to my heart – and my Lady Garden. This week – 8th to 14th June – is Cervical Screening Awareness week. I lost my Grandmother to cervical cancer in the 1980’s and I myself have to have smear tests every 6 months due to ‘abnormalities’ found during a routine smear test a few years ago. It’s not pleasant. No-one, no-one enjoys having a smear test. Equally, it’s not an ‘attractive’ issue to the beauty industry. That spot has been filled by breasts for far too long – but awareness of it saves lives. 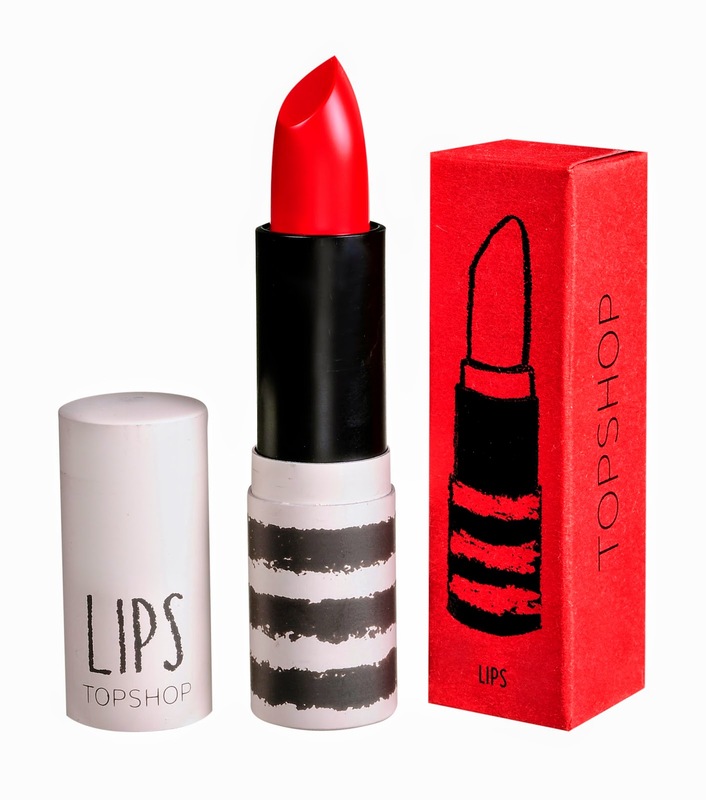 The Red Lippy Project is a charity dedicated to raising awareness of cervical screening and this week will collaborate with Top Shop to launch the Limited Edition Red Lippy Lipstick, £8, in their best selling Pillar Box Red. 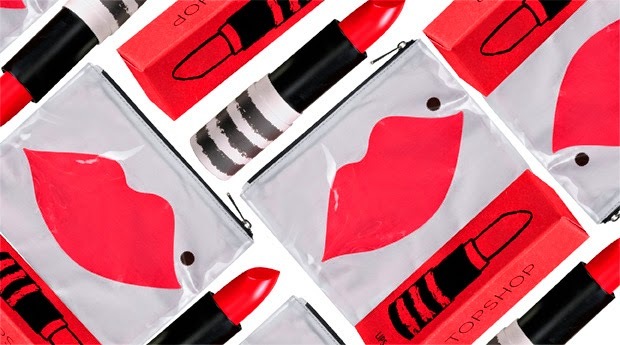 Top Shop are donating 30% of the sale of the gorgeous lipstick and makeup bag above to the Red Lippy Project and both the charity and Top Shop are encouraging celebrities and customers alike to share pictures of their red lips across social media, along with scarlet pucker prints on mugs, cheeks, anything really.. to #makeamark for cervical cancer awareness. Cervical cancer is the third most common malignancy to affect women, with over half a million cases occurring worldwide each year. It is the most common cancer in women under 35 years of age. There were 2,900 new cases of cervical cancer diagnosed in 2010, that is around 8 women every day. Cervical screening is not a test for cancer. Cervical screening is unique, as it allows signs of changes to be identified at an early stage when treatment – which can be carried out on an outpatient basis – effectively preventing the vast majority of cases progressing to cervical cancer. The NHS Cervical Screening Programme was set up in 1988 by the Department of Health. The programme screens over three million women in England each year. Scientists estimate that cervical screening saves around 5000 lives each year in the UK. 45% of cervical cancers in women in their 30s. Since the introduction of cervical screening in the 1980’s, rates of cervical cancer have almost halved. Donate Funds: Text RLIP14 £2 to 70070 or make an online donation.